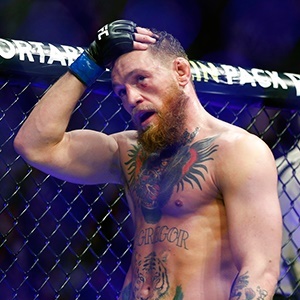 Los Angeles - Mixed martial arts star Conor McGregor hinted he may not be retiring after all on Wednesday after a racially-charged exchange of insults with rival Khabib Nurmagomedov. "I want to move forward, with my fans of all faiths and all backgrounds," McGregor wrote. McGregor's tweet appeared to be a response to criticism directed towards him after an earlier post in which he insulted Nurmagomedov's wife and the couple's Muslim faith. McGregor swiftly deleted the post made late on Tuesday. "You are a hypocrite who is not responsible for your actions," Nurmagomedov wrote. "Justice will find you. We will see."